COLOGNE, Germany (CNS): German Catholics have reacted angrily to Cologne Cardinal Joachim Meisner for criticising lay people about their lack of knowledge of the Church. Cardinal Meisner, speaking during a September 25 Mass at the German bishops’ meeting in Fulda, accused many lay people of developing a ‘do-it-yourself ideological faith which is only Catholic in name’. He also accused lay organisations of ‘muddying and darkening the Catholic faith’. 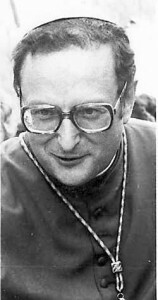 Leaders of lay organisations, the cardinal said, often had ‘very limited knowledge of the faith’. While other German bishops distanced themselves from the cardinal’s remarks, the homily drew a strong rebuke from several lay leaders. Hans Joachim Meyer, who is president of the Central Council of German Catholics, said Cardinal Meisner made ‘stupid and slanderous accusations’. Chairman of the Catholic Youth Organisation, Knuth Erbe, accused the cardinal of ‘spiritual arrogance’.